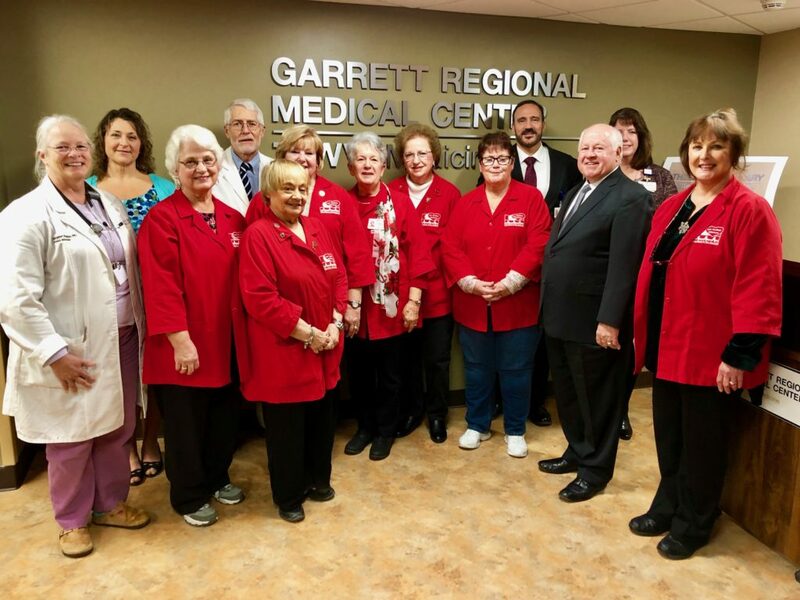 A dedication ceremony was held on November 29 at Garrett Regional Medical Center (GRMC) for its recent renovation of the hospital’s Intensive Care Unit (ICU). GRMC’s intensive care unit is a four-bed unit with state-of-the-art equipment and highly skilled staff who care for individuals in their time of greatest need. The ICU suite is named in honor of the Loar Auxiliary for their generous contribution of $100,000 to the project. Loar raises funds through sales at the GRMC gift shop and special event proceeds. The Intensive Care Unit Suite also features name placards to recognize the generous gifts of the Rotary Club of Oakland, the Civic Club of Oakland, and Marty and Sandy Hill. The Loar Auxiliary consist of 15 volunteer members who dedicate their time to managing the gift shop and hosting special events to support the hospital’s mission. The Loar Auxiliary has been in existence since 1976 and had since raised more than $1 million in support of the hospital. New volunteers are welcome to join the group. For more information, contact Volunteer Services at 301-533-4173. Pictured left to right: Margaret Kaiser, MD; Kelly Gover, RN; Linda Sanders; Thomas Johnson, MD; Betty Pritt; Molly Hartung; Betty Wolford; Phyllis Gank; Deb Hetrick; Mark Boucot, CEO; James Bailey, Chair of the Board of Governors; Kendra Thayer, Chief Nursing Officer; and Sarah Folio.